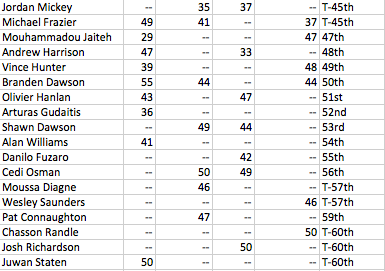 I reached out to a few people who I thought followed the prospects pretty closely throughout the season, to get their Top 50 boards for the LG Consensus Big Board. A couple of people couldn't do it, but here's what we ended up with. 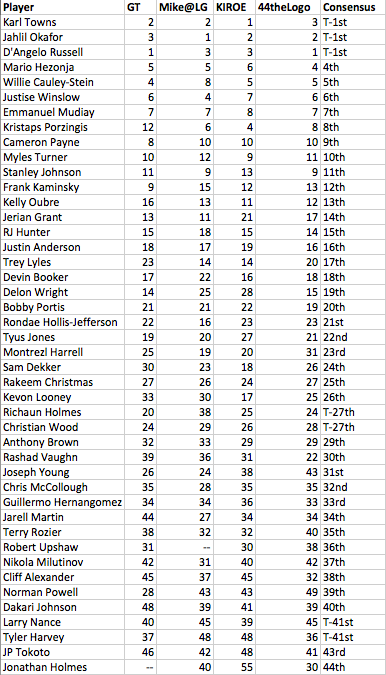 Just looking at the initial 15, we probably should have collaborated on a collective mock. Any one of us were REALLY close for each given pick. Curious if anyone compared the LG mock results to others...how'd everybody stack up.